Johann Ernst Hanxleden (1681-1732), famously known as Arnos Paathiri was a German Jesuit priest, missionary in India and a Malayalam/Sanskrit poet, grammarian, lexicographer, and philologist. Hanxleden was born at Ostercappeln, near Osnabrück, in Lower Saxony, Germany in 1681. After doing philosophical studies in his home town, Osnabruck, Hanxleden volunteered for service in India. Together with the Jesuits Wilhelm Weber and Wilhelm Meyr, and a doctor, Franz Kaspar Schillinger (who left us an account of the perilous voyage), he set forth (30 October 1699) on a long arduous overland journey to India, travelling through Italy, Turkey, Syria, Armenia, and Persia, and set foot in India at Surat (in contemporary Gujarat) on 13 December 1700. During the journey Hanxleden was formally accepted as a member of the Society of Jesus. Weber and Meyr had died at sea, before reaching Surat. Left alone, Hanxleden proceeded to Goa where there was a large community of Jesuits. After completing his spiritual formation (Novitiate) in Goa, Hanxleden was sent to the Jesuit Seminary at sampaloor in Thrissur District,Kerala, S. India. The remains of the seminary where he did his priestly studies in Sampallor and the church still kept as a historical monument at St. Francis Xavier's church sampaloor. The word Sampallor has got its origin from 'san-paul-ur', means land of St. Paul. It was the Jesuit priests who have given this name to this land which was formerly called as Ambalakad to commemorate St. Paul the Apostle of Jesus who travelled at length from middle East to the western Europe to preach the Gospel. It is also assumed that Jesuits had great reverence to Pope Paul III who approved the Plan of St. Ignatius of Lyola to form a congregation by name "Society of Jesus"in 1540 by the bull "Formula of the Institute". It is in St. Paul's Seminary in Sampalloor, Hanxleden did his Theological studies;the immediate preparation to receive priesthood. He took time also to initiate himself to the local language, Malayalam and more importantly even to the liturgical language of the Thomas Christians of Kerala, the Syriac. He was ordained priest in 1706. In addition to his mother tongue German, and his mastery of Malayalam, Hanxleden also had a good command over Latin, Syriac, Portuguese, Sanskrit, and Tamil. He moved to Palayoor and after surmounting several formidable barriers, learnt Sanskrit too and improved his Malayalam from two Namboothiri Brahmins, Kunjan and Sankaran from Angamaly, who were students in the Thrissur Sanskrit School. From 1707 to 1711 Hanxleden served as secretary to John Ribeiro who was Archbishop of Cranganore. During this time he travel led the length and breadth of Kerala on various tasks such as preaching and Catechesis. It is recorded that he served as the vicar of the main church in Malabar. Hanxleden moved to Velur, Thrissur, a small village near Thrissur District in 1712 and built a church there. This would be his abode for most of his remaining life. Ernest wrote Puthen Pana based on the New Testament, sitting by the well of Pazhuvil Forane church. From 1729 onwards, he lived at Sampallor, and Palayoor. He died on 20 March 1732 at Pazhuvil of a snake-bite, and was buried there in the church. Later a memorial was built outside the church, and his mortal remains were removed to it. To maintain his memory a historical museum has also been started. The Puththenpaana, a Malayalam epic on the life of Christ, is his most celebrated poem. This is one of the earliest poems written in simple Malayalam. It has been an inalienable part of Christian (not restricted to Catholic) life in Kerala since the time of its composition; its paadhams are sung in a characteristic manner in Christian households on various solemn occasions, the most notable ones being Holy Thursday, Good Friday, and other days of Holy Week and Lent and evenings preceding funerals. The poem consists of fourteen Paadhams; the couplets are written in the Sarppini Vruththam, except for those in the twelfth Paadham, which are in the Nathonnatha metre. The twelfth Paadham on the lament of the Virgin Mary at the crucifixion and death of Jesus is the heart of the poem. Other important Paadhams are concerned with the Fall of Man (second), the Annunciation (fourth), the Nativity (fifth), the Sermon on the Mount (seventh), the Last Supper (tenth), the trial and Crucifixion (eleventh), the Resurrection (thirteenth), and the Ascension (fourteenth). The first paadham has the poet telling us that he is writing the poem at the request of Antonio Pimental, Archbishop of Cranganore since Pimental held the ecclesiastical office from 1721 to 1752, the poem was composed some time during the period 1721–1732. The Chathuranthyam is a mystic poem on the four ends of man: Maranam, Vidhi, Moksham and Narakam parts of the poem are sung on occasions similar to the Puththenpaana recitals. While his poems are written works, they also have a strong oral tradition; many pious Christians retain his poetical works in their minds and are able to recite it by heart. Hanxleden was the first to compile a Malayalam Dictionary. His lexicon describes Malayalam words in both Sanskrit and Portuguese. He also wrote a short and succinct grammar for the Malayalam language. Hanxleden and his predecessor, Heinrich Roth, were the pioneering European Sanskrit scholars, he was the first European to write a Sanskrit grammar Grammatica grandonica and also the first European to compose Sanskrit verse. His Velur home, and the church he built are preserved as historical monuments. Among various exhibits at the museum are the bed used by Hanxleden and the chathurangam (which Hanxleden used to play) columns marked on the floor of his home. Mar Francis Vazhapilly, Metropolitan Archbishop of Thrissur from 1921 to 1942, used to stay at the Velur Church for a few days during Lent so that he could sleep on the bed used by Arnos Paathiri and drink from the well dug during his times. ↑ "Arnos Padre commemoration". The Hindu. Retrieved 19 March 2013. ↑ "Rich tributes paid to Arnos Padre". The Hidnu. Retrieved 19 March 2013. ↑ "Set Puthen Pana to new tunes: Minister". The Hindu. Retrieved 19 March 2013. C. K. Mattam: Arnos Paathiri. D. Ferroli: The Jesuits in Malabar, Bangalore, 1939. Mathew Ulakamthara: Arnos Pathiri, Kerala history association, Cochin, 1982. Mathew Ulakamthara, Arnos Pathiri, Kerala History Association, Cochin, 1982. P. J. Thomas: Malayalasaahithyavum Kristhyaanikalum, D. C. Books, Kottayam, 1989. M. Mundadan, An Unknown Oriental Scholar: Ernest Hanxleden, Indian Church History Review 23 (1989) 39–63. J. J. Pallath, Ed. : Arnos Padiri: the first Malayalam poet scholar orientalist, Arnos Padiri publications, Calicut, 1994. 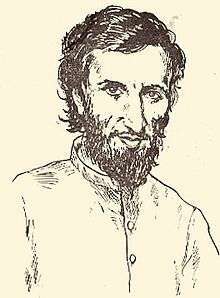 J. J. Pallath, ed., Arnos Padiri: The First Malayalam Poet Scholar Orientalist, Arnos Padiri Publications, Calicut, 1994. Joseph J. Palackal, Puthen Pana: A musical study, Master's thesis, Hunter college of the City university of New York, 1995, Christian Musicological Society of India.